Battery eventually arrived well packed and undamaged. Delivery by Yodel is not a pleasant experience. This may be due to the local driver, out of six deliveries by Yodel over the past two years, not one has been achieved without difficulty. Immediate delivery and a quality item. my VW T4 does not have a lot of height or length for a leisure battery but this one fits perfectly and has all the staying power I need. 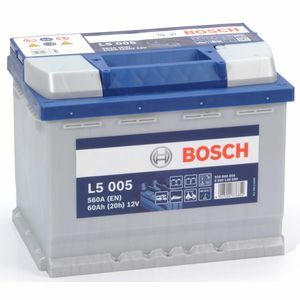 Twinned with a 60AH Bosch road battery it all looks very tidy and ready to roll.